During the Hunting Carnival event, new rangers can complete a series of quests to get event points. Reach certain amounts of points to earn great rewards. Players can also get rewards from Recharging Diamonds. There are 25 different point rewards divided into 5 levels. The final reward of each level is usually the rarest. There are Daily Quests, Challenge Quests, and Advancement Quests. Daily Quests can be completed once a day and reset every day during the event period, but players have to complete them within the day to get event points. Challenge Quests and Advancement Quests will unlock over time. They can be completed at any time during the event, and each quest can only be completed once. 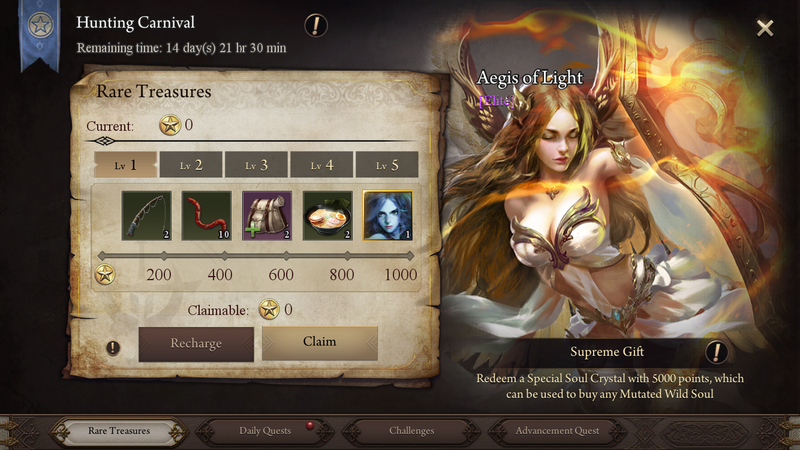 Duration: Starts after the player's first login and lasts 2 weeks (14 days). 2. 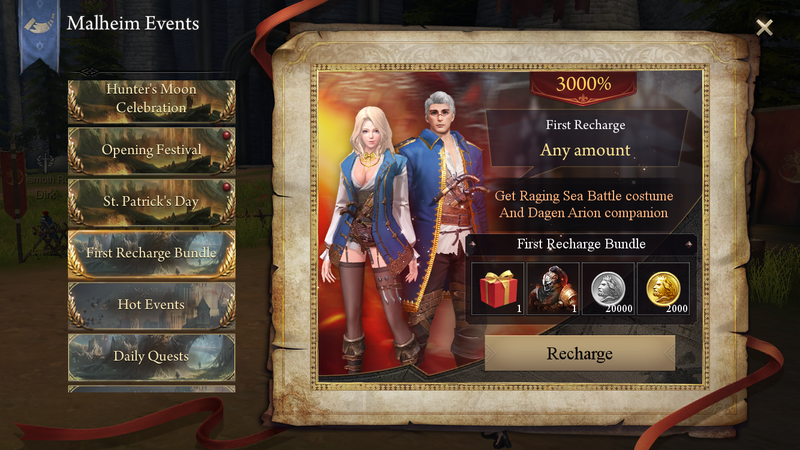 We have changed the First Recharge rewards. Rangers can get both Raging Sea Battle costume and Dagen Arion companion. If you have already completed First Recharge, we will compensating you the difference through in-game mail.